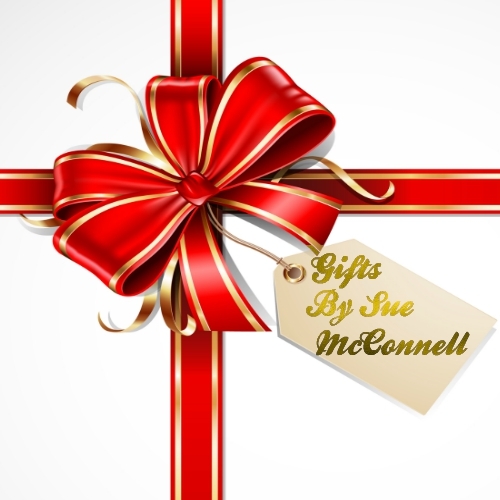 Are you creative and looking for a way to express your creativity? 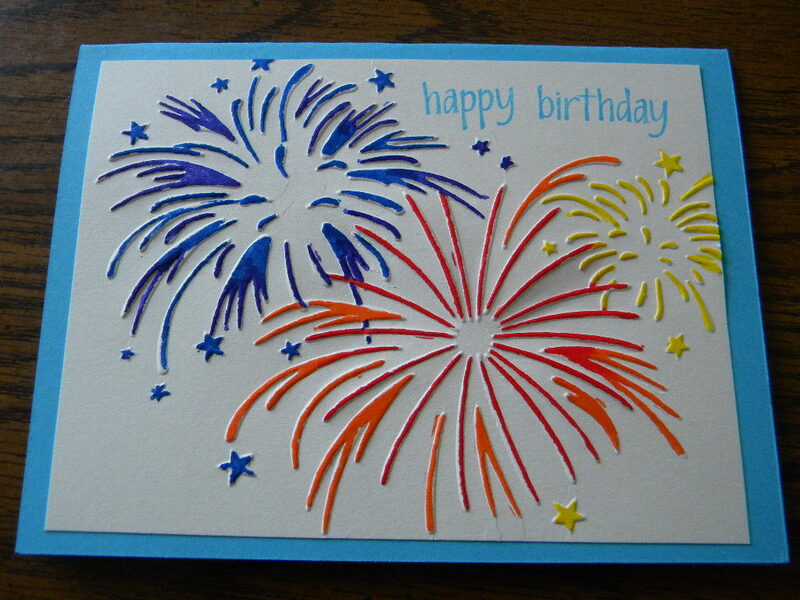 How about making your own cards? With the high cost of cards these days, I jumped on the band wagon of creating my own. I can’t believe how much fun it is and now I’m hooked. I made this card for my mom’s birthday. It would also be good for a graduation card. 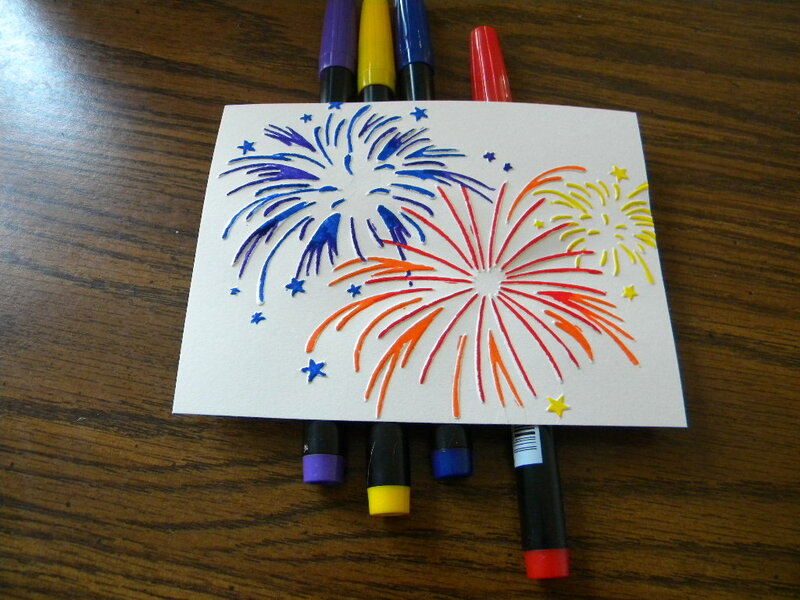 I decided to use white card stock because I thought it would make the fireworks pop. 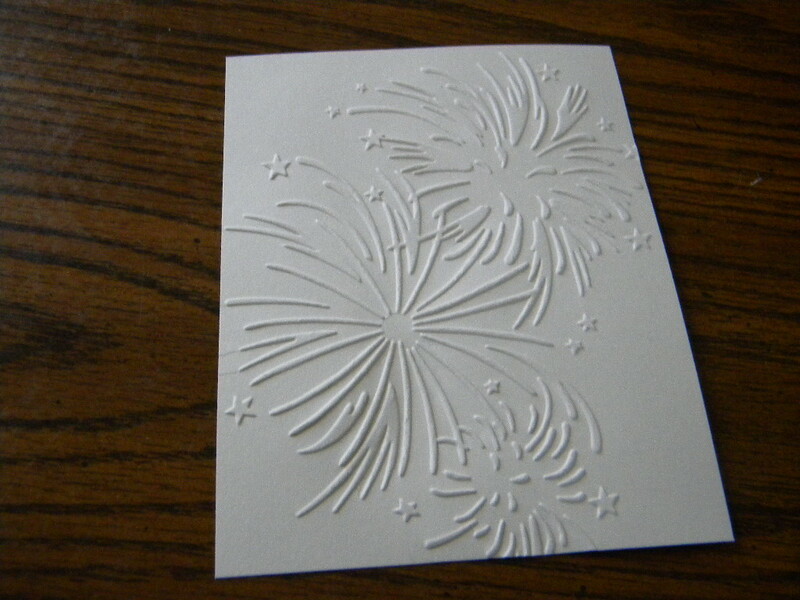 I used a fireworks embossing folder for the 3D effect. Even without the ink, it’s pretty astounding. 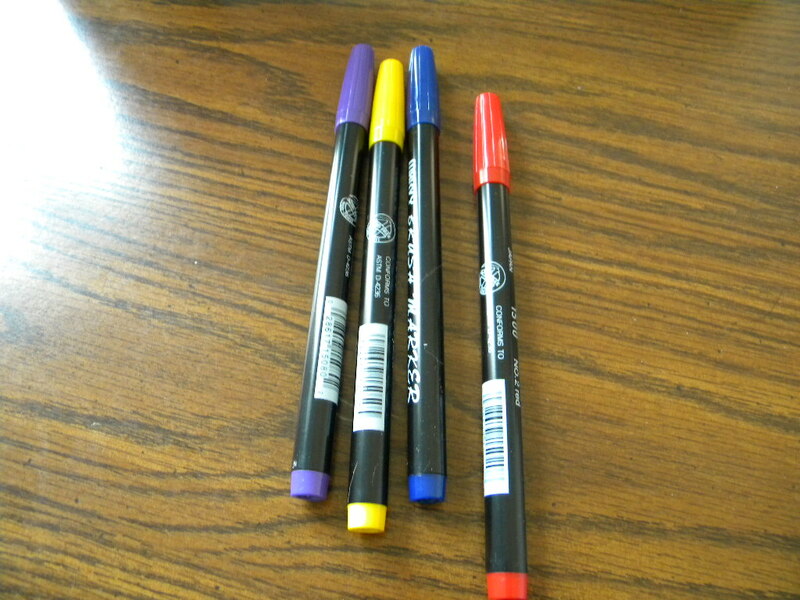 I like color though so I decided to use my stamping markers. I picked a turquoises back drop to make the fireworks on the white paper stand out even more. 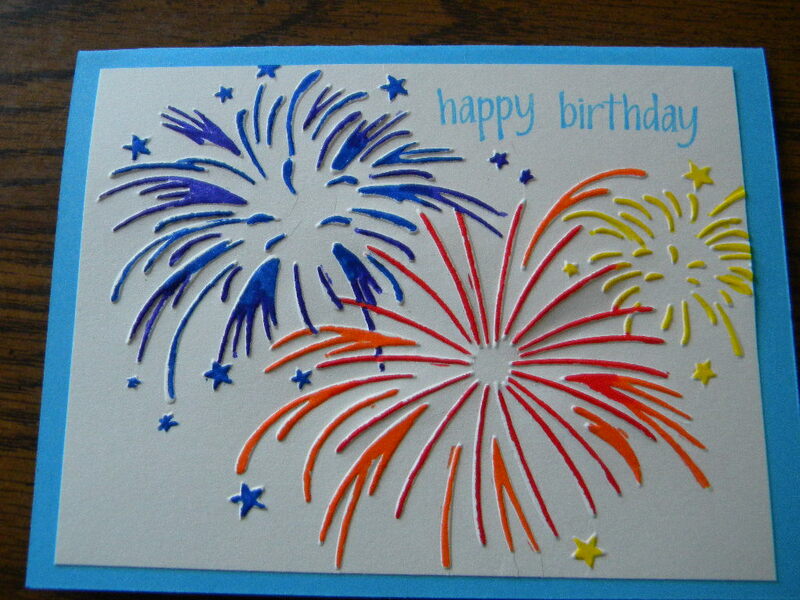 After I stamped happy birthday on it, the card was complete. 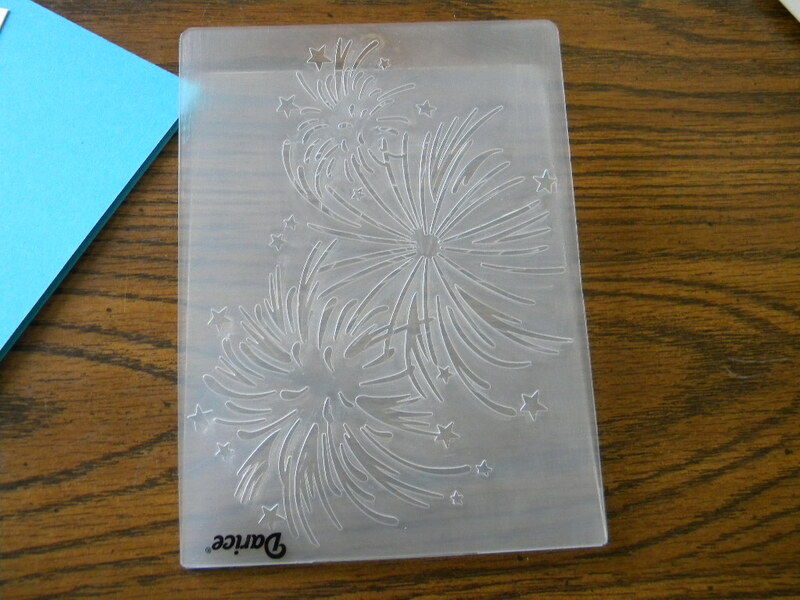 I wanted to see what it would look like if I didn’t use the stamping markers and used a different color of paper. 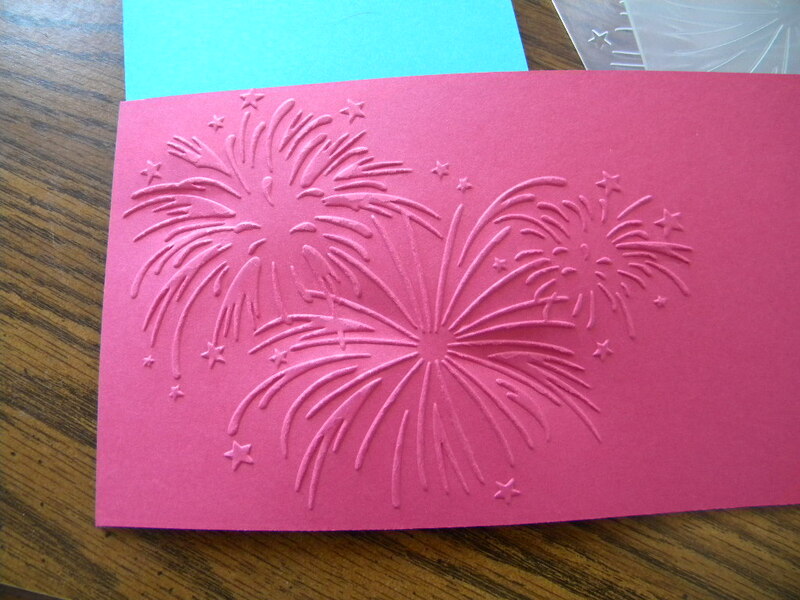 I embossed the fireworks on melon mambo Stampin up paper. I was pleasantly surprised the fireworks showed up so well. 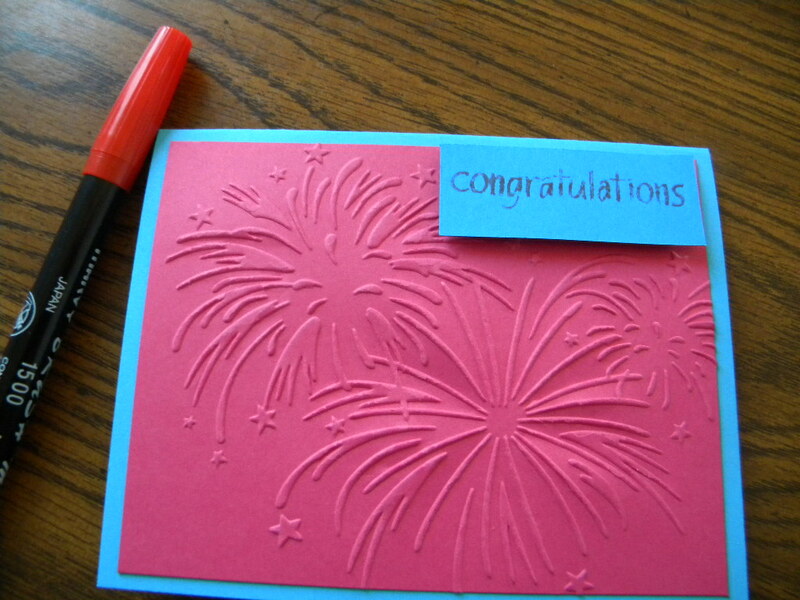 This time I used the Stampin Up modern label punch and stamped on congratulations. What do you think? Not too shabby for a newbie. What would you have done differently?